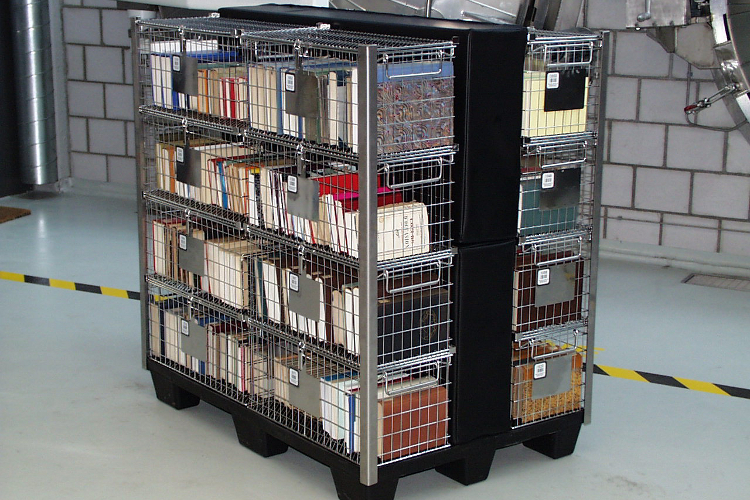 Nitrochemie has its own vehicles suitable for transporting books and records. For large holdings and customers outside Switzerland our Logistics Department will be pleased to organize transport by international forwarding companies experienced in handling valuable goods. 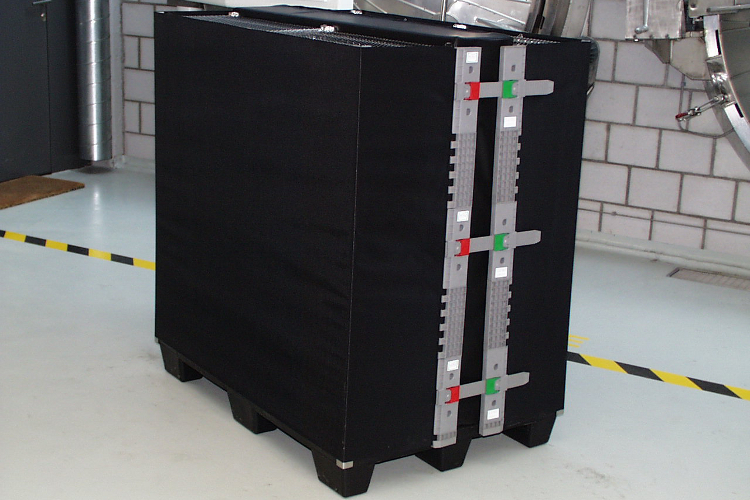 The deacidified goods will be delivered back to the customer after the completion of the treatment packed into the treatment baskets (palletized and provided with a protective cover). Click here for further information on packaging.